There’s no need fiddle with garden hoses and get cold or wet for a great car wash. Pull into one of our automatic wash tunnels and let our friendly staff and touch-free robotic wash system professionally wash, wax and dry your vehicle. 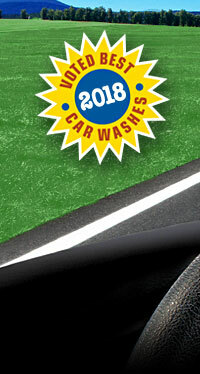 We are the most advanced and effective full-serve car washes around—bar none. In addition to our computerized touch-free robotics, we offer the added benefits of optional hand-washing by our trained staff. No other car wash gives you this level of choice, safety and attention to detail. At Ernie’s we use a gentle, moderately alkaline detergent. Developed by Ernie’s in cooperation with a local firm, it is our own unique formulation. You can rest assured knowing that everything we use on your vehicle is gentle to its paint, clear-coat, and all protective waxes and sealants. We guarantee your car will be clean from bumper to bumper. If not, we will rewash it. At Ernie’s, you not only receive the safest wash at the best prices, you get the cleanest wash possible. 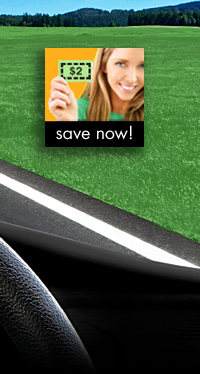 Hand-applied extreme gloss and protection for your tires. Ultra-dry towel-down including inside door-jambs.